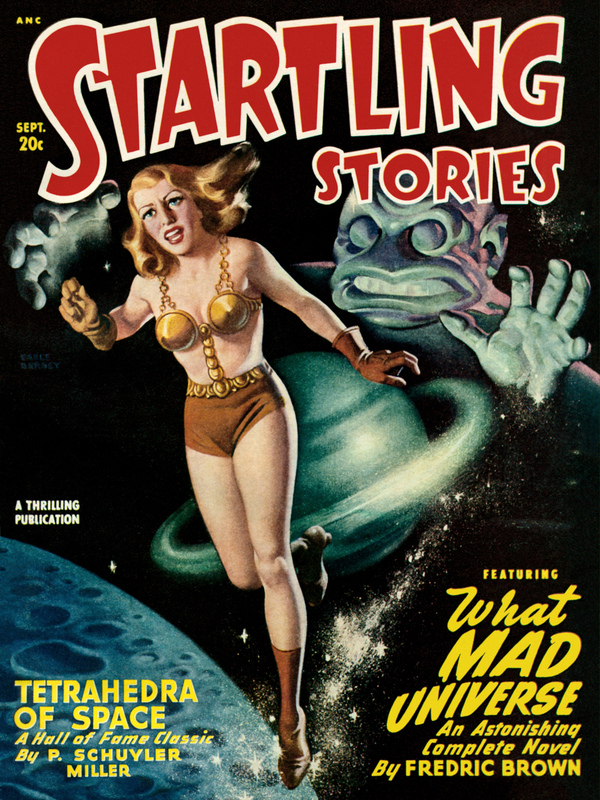 This issue also includes What Mad Universe, a paperback printing of which was previously featured here. The illustration is one of the classics of Bergey’s “brass brassiere” paintings. 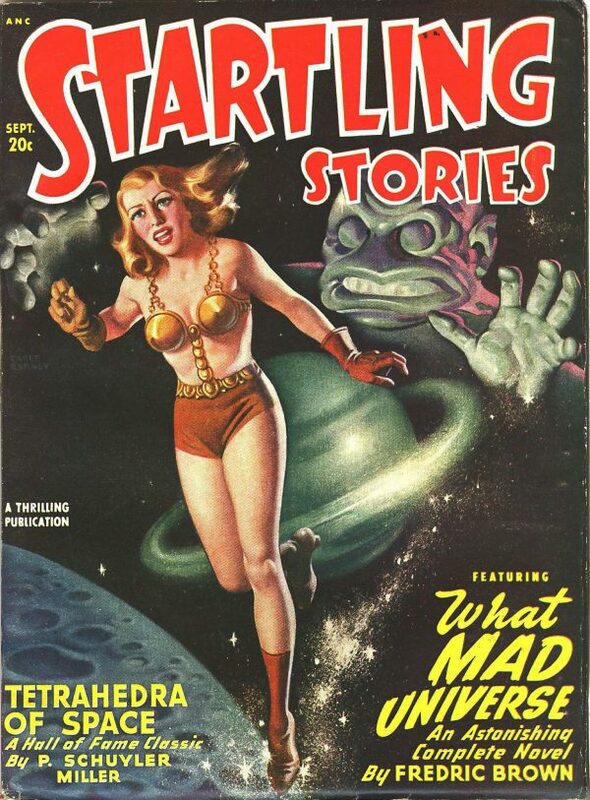 Personally, I’ve always thought it was to illustrate Brown’s “What Mad Universe?” myself.